Before tackling a DIY bathroom remodel, start here! 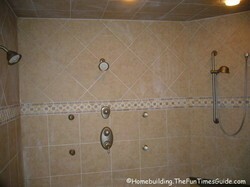 Homeowners are sharing their personal tips for decorating, remodeling, and fixing things in bathrooms yourself. Whether it's a small powder room or a large master bathroom suit, we've got some great ideas to help you get the most for your money. Clear and concise DIY instructions on how to replace a toilet on your own. Add it to your DIY bookmarks for future reference. 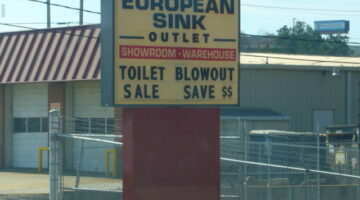 Great advice to save yourself a small mint by replacing the toilet on your own rather than calling on a plumber. 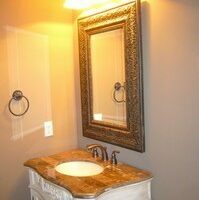 One small feature that builders can install to attract buyers are bathroom furniture vanities rather than basic cabinetry. 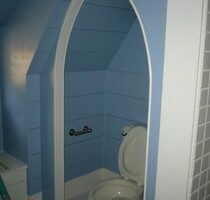 They add a custom touch and personality to an otherwise run-of-the-mill bathroom. 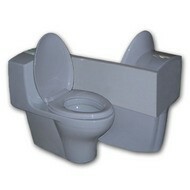 The TwoDaLoo is a dual-sided toilet that allows you and a very good friend to “go” at the same time whilst you talk about the day’s events. How dumb of an idea is that? 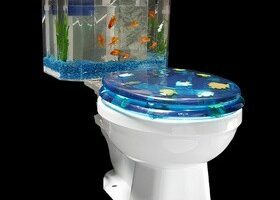 Liven up your bathroom with an aquarium toilet tank. How about a sleek looking aquarium sink to inject some interest in your lavatory. Curious which toilets made a splash at the Kitchen and Bath Industry Show in Vegas this year? Contemporary and Asian-inspired designs were influential as well as water conserving toilets. Painting and caulking are easier than you may think. Advice for the do-it-yourselfer looking for professional results. 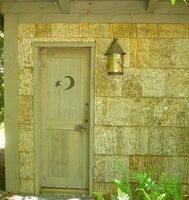 I’ve come across another DUMB homebuilding idea. This time is has to do with bathroom privacy and the lack thereof.